A group of fun, caring, compassionate pet loving humans!!! My blog was relatively new and as a “niche” blogger, I was longing to find more Doodle enthusiasts. When I saw the photo submission request for their 2017 Doodle Calendar – on a whim I sent in a photo of Jaxson. 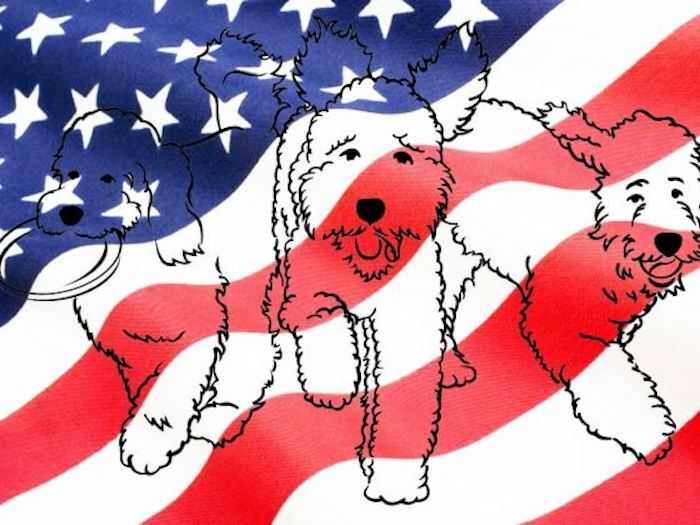 Creating this calendar is part of the Doodle Family’s third annual military fundraiser. For the last two years, they’ve been able to raise enough money to help military families in need during the holiday season. Groovy Goldendoodles™ is truly honored to debut the 2017 Doodle Family Calendar cover. This years calendar cover consists of a very special collage. 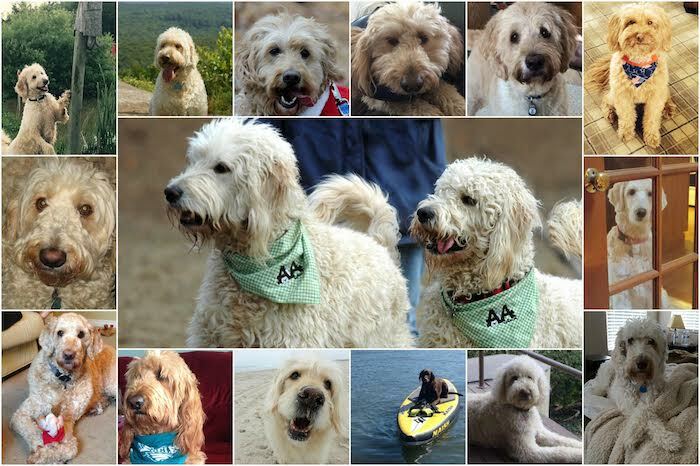 A photo collection of doodles who all passed away over the last twelve months. What a beautiful and thoughtful way to pay tribute to their beauty and gentle spirits. 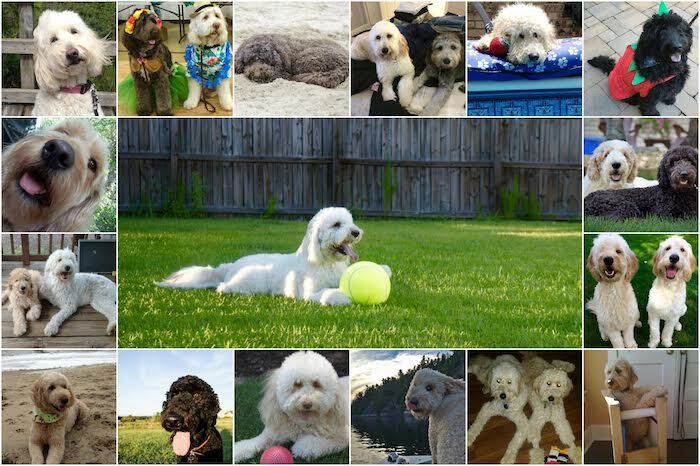 GOLDEN hugs & DOODLE kisses to my FB – Doodle Family. Thanks so much for subscribing, hope you enjoy our blog. Lovely sentiment for the cover. Nice job Kate! Thanks my two favorite French Bulldogs! What a great calendar supporting a fantastic cause. I love! Isn’t it a great idea? I think their entire concept #rocks! Oh! My Bailey and Gabriel made the center of the cover! I’m just crying! Thank you Kate! Congrats to Mr. June, Jax! What an adorable idea for a fantastic cause! Thanks JanK – We are honored to participate in such a worthy cause. Terrific calendar! Our pet therapy group does one and Sam & I will be on the sales table this week. Those kinds of calendars make for happy customers and the proceeds are always terrific. Well done Doodle Family! I like the decision to adopt a platoon. Doodle Dad was in the military for many years, acts of kindness like this are greatly appreciated. I was honored to help with sales. That is so awesome!! Love the cover and what that family is about. Glad Jax is apart of the calendar!! Congrats for being a pin up pup!